One of the best things about the me-made-may flickr pool, is all the new inspiration. This year quite a few members of the Japanese sewing community joined in, and brought an extra flair to the group. One pattern company that seemed to reoccur quite frequently was Tamanegi-Kobo. Tamanegi-Kobo sells PDF patterns, some have English instructions, and some don´t. The first pattern that caught my attention is only written in Japanese, but I decided to go for it anyway, as it wasn´t an overly complicated construction. Also, the diagrams and drawings in the pattern are crystal clear. 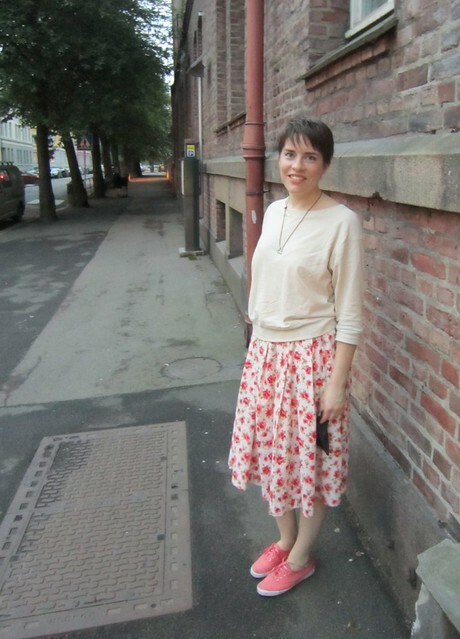 I made the Heather pullover – and I love it! It´s like if a regular sweatshirt had a cute little sister, that would be Heather. She´s the cutest, and was easy to piece together. Facings for the neckline – gives it a smooth finish. A slightly curved hem – it´s flattering, but not overly trendy (and by that I mean that it won´t be completely “last year” next year – it has a classic look in my opinion). The pattern company makes use of Adobe Acrobat´s layer function, which means you have the option of printing your own size, while the others are made invisible. Genius! Tamanegi-Kobo states in their instructions that they use a “Japanese body type” as model, which had me a bit worried. You can call me many things, but having a Japanese body type, is not one of them. 🙂 But it went remarkably well – I chose my size from the upper bust measurement, did a FBA, and it fit me as a glove. I´d expect to maybe have to lengthen the whole thing, both the sleeves and the bodice, but no such measures were needed. 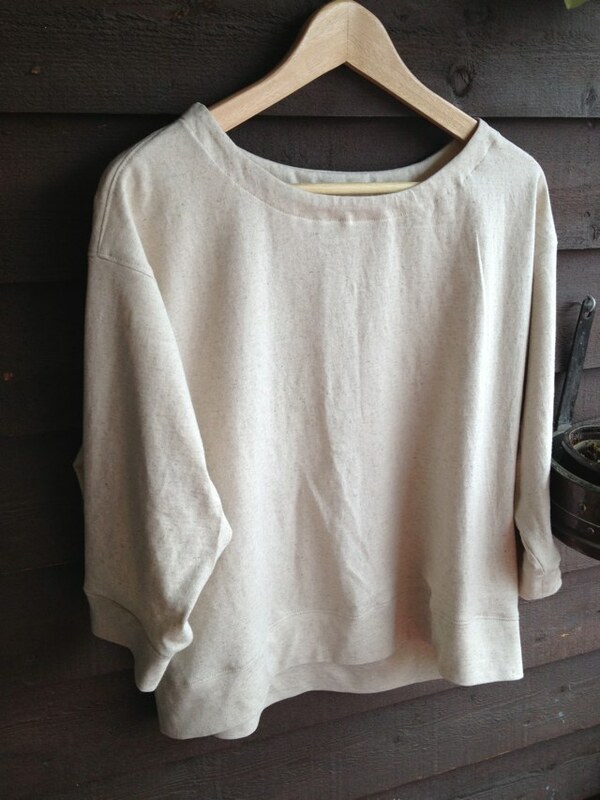 All in all – I am very happy with my new pullover, and I can truly recommend Tamanegi-Kobo patterns!